I am completing four years of Krav Maga in February. Something that started as a pastime activity has become part of my psyche now. Quickly jogging my memories of Krav Maga in the last four years, here are four points in Krav Maga that I have applied either deliberately or subconsciously in my real life too. One of the most important principles while sparring is ‘Keep moving’. A person who lives out of his suitcase literally, my life involves interacting with a lot of people every week. The people that I meet include the clients, taxi/auto drivers, people in the hospitality industry, the ones that I meet in my air/train travels. The kind of mood-swings and emotions that one goes through in these interactions and journeys are very extreme. An undue importance to any of these people or situations may jeopardize the whole purpose of the journey. ‘Don’t get cornered by any individual or any situation that will bog you down immensely. Just keep moving. One of the points we are often taught while learning the techniques like knife/stick attacks is either get out of the range and run away or if you’re in the range of attack, go all out and finish it. With complete honesty I would attribute this factor to be mainly responsible for the completion and release of my 600+ pages technical book which I thought would never go to the shelves. The sunday classes week after week reiterated this fact. You have started it so complete it come what may. Not even one class has gone by till date where I have not been warned at least once that I’m not scanning. If you don’t scan, then you can safely assume that you’re in deep trouble. My job requires keeping myself updated with several technologies and tools almost on an everyday basis. Even one day, I skip doing that, out of laziness or lack of time or some unforeseen reason, there has been a telling impact in the form of last-minute surprises. This has in-fact cost me a significant amount of money and brought in some bad name, most of the time. If you don’t scan, you don’t have a clue what’s in store for you. Hit vulnerable spots like groin, eyes, nose, chin, knees, shin. Attacking these parts will ensure the fight stops asap. My blog posts, the presentations and the talks have noticeably improved over the years as they have become more and more focused and concise instead of circumlocuting and dragging a topic on and on. Make an impact as fast as possible and move on. Hit the vulnerable spot. 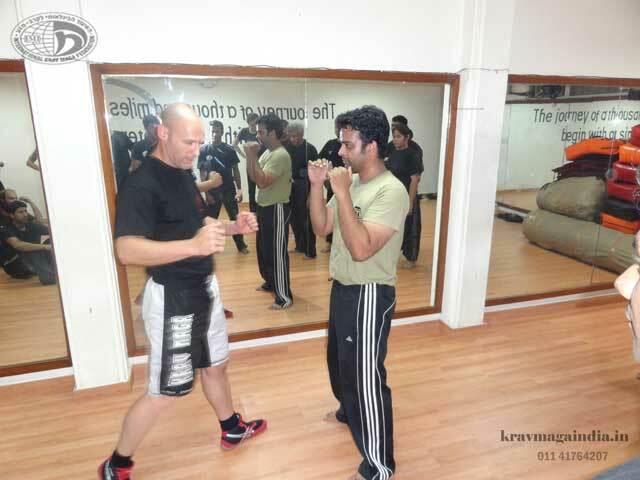 Apart from these factors, Krav Maga has replaced time spent on mindless partying, loafing around in malls, and unhealthy talks about cricket, cinema, relatives etc. Very useful and pragmatic. Thanks.